Each year, we receive approximately 2,000+ applications in total, and the incoming class is, on average, around 275. The Admissions Committee thoroughly reviews each application holistically, but due to the extremely competitive applicant pool, the waitlist includes very strong candidates that we do not have room for at the time of decision notification. The size and strength of the waitlist varies considerably year-to-year. Why haven’t I been contacted with further instructions, or asked for more information? The Admissions Committee reviews candidates currently on the waitlist on a rolling basis depending on space created in the incoming class. We are not able to predict key timelines associated with the waitlist until later in the admissions cycle. We ask that you continue to remain patient and trust that we will reach out to you in a timely fashion should we require further information or have any updates regarding your candidacy. The waitlist can be a challenging place for applicants, given its uncertainty and lack of a clear timeline and expectations, but we feel very strongly that it is also a wonderful opportunity, an exercise in patience, and a gift of time not given to all who apply. What is the latest date anyone has been admitted from the Waitlist? We are unable to guarantee a timeline, however most decisions are typically released by early summer. In rare circumstances, decisions have been released as late as mid-to-late summer. While this is not a common occurrence, you are able to remain on the waitlist as long as you are willing to continue being considered for admission. If your personal decision-making timeline does not allow you to remain on the waitlist, you will be able to request to be removed at any time. We are not able to honor early decision requests from candidates on the waitlist. Can I submit new materials for consideration to enhance my candidacy? As the Admissions Committee reviews candidates on the waitlist, there may be an opportunity for supplemental information or materials to be submitted. While we can ask for a range of materials, typically it is a new resume, recent job promotion information, or a new test score. Occasionally, we might ask to clarify your career goals or provide us with your back-up plan. If you would like to provide us with supplemental information you believe will enhance your candidacy, you will be able to upload any applicable documents to your application. In the event that the Admissions Committee requests additional information, an email will be sent to all candidates currently on the waitlist approximately one week prior to the review period, so there is plenty of time to collect materials for submission. I want to reiterate my interest & enthusiasm for the Texas MBA Program, but don’t have specific updates (as listed above). How can I do this? If you would like to let us know where Texas McCombs ranks among your choices of schools, why we are the best fit for you and your career goals, or what other schools you are applying to, you may upload a letter of interest to be included as an attachment to your application. Will I get a chance to interview if I’m placed on the waitlist and I haven’t already interviewed? Interview invitations can come at any time during the admissions cycle. We do not interview all candidates on the waitlist. If we deem it necessary, we will request an interview while you are on the waitlist to further assess your candidacy. Please wait for an invitation via email. Should I request an early decision if I have other enrollment deadlines to adhere to? We are not able to honor early decision requests from candidates on the waitlist. 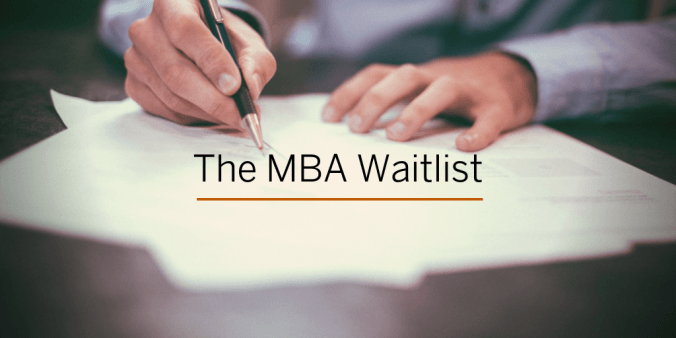 If the Texas MBA Program is at or near the top of your list of schools, we recommend you remain on the waitlist as long as your decision-timeline can bear. The reason not to request an early decision is that at the time of your requested early decision date, we may not have a full picture of available space in the class. Is there an appeals process if I am not admitted? All admission decisions are considered final for a given application cycle (i.e., year). We are not able to provide individual feedback on your application due to both the large volume of applications we receive and fairness to other applicants in the pool. You are welcome to reapply to the program again the next year. We do not hold this season’s application against you. We evaluate your new application on its merits and in the context of the new applicant pool. What if I am an international student on the waitlist and I need a decision in order to begin the visa application process? We are aware of the timelines required of international students and obtaining a visa. We understand that international applicants need time to process a visa, but unfortunately we may not know the final make-up of our class. Therefore, you may choose to remove yourself from the waitlist due to visa timing issues.